Mercedes Benz raised its concern for the hike in the Cess for the luxury cars to post the implementation of GST (Goods and Service tax). Mercedes said it was very eager to increase its output and headcount in India. But they would require some little support from the country. 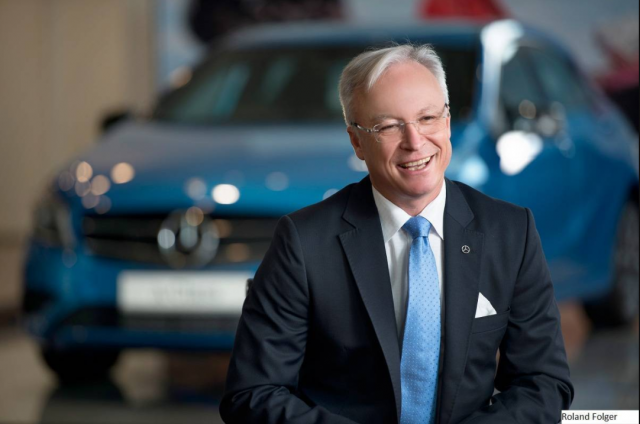 India’s Mercedes Benz, managing director, and CEO Roland Folger said that he could not understand the rationale behind reviewing the Cess for the luxury cars. He said that this company had a lot of cards and lot of things to contribute such as high-end jobs. India’s Mercedes Benz, managing director, and CEO Roland Folger said that he could not understand the rationale behind reviewing the Cess for the luxury cars. He said that this company had a lot of cards and lot of things to contribute such as high-end jobs. Recently in the past, the union cabinet had amended the GST Cess on the mid and the large sized cars. The ordinance that has been issued in this regard seeks to change the GST compensation with the maximum compensation Cess now can be raised to 25% from the 15 % previously. Mr. Folger was of the view that since India has a significant potential for the luxury car market, they would require some support from the government in this regard. If some support is given on the taxation side, Mercedes would be able to increase its output and the human resources in future, he added. Folger addresses his concerns while attending an inauguration of the AMG (Aufrecht Melcher Grossaspach) Performance Centre, which has been designed to give an exclusive Mercedes AMG product experience to its customers. He also said that Mercedes was looking forward to not only increasing its employment opportunities in Pune but also its dealer ship everywhere. He was asked if the company would be further investing at its Pune facility, he commented saying that it was not necessary right now, but they are implementing new technologies in India. He further added that the company had achieved a lot of success in the Indian market and they have been able to achieve as much as 50% market share with the sales of the AMG vehicles. Mercedes Benz currently has AMG performance in all large cities such as New Delhi, Mumbai, Hyderabad, Bengaluru, Kochi, Pune, and Chennai. As per the company statistics, Mercedes Benz sold as many as 13,231 vehicles in India in 2016, and they have been able to sell 7,171 units in the first half of this year. Its manufacturing unit in Pune is spread across 100 acres and has an investment of nearly ₹ 1,000 crores. Currently, the company has 89 dealership outlets in 41 cities.